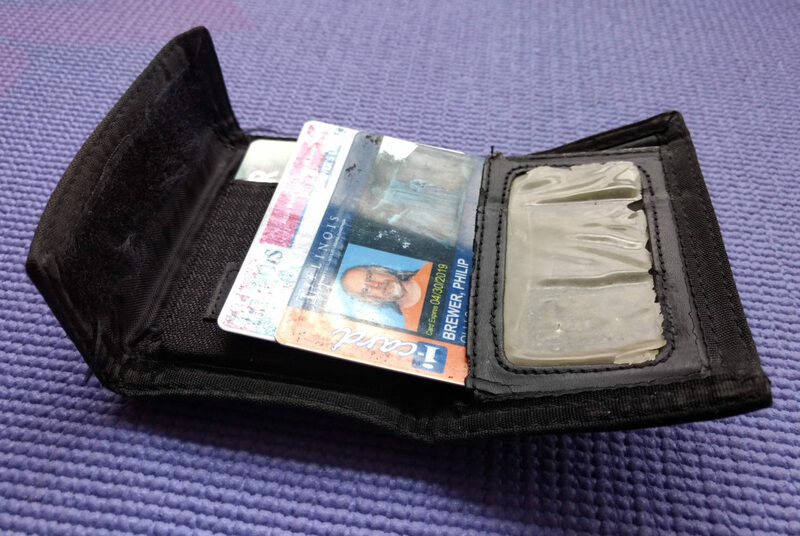 I have one of those skinny minimalist wallets that is a single pocket made from an old leather hat. It holds the seven cards I carry; driver license, AAA, public library, SEMO library, VISA, health insurance and ATM/debit. No place for cash unfortunately. Usually just carry it folded in half.